The inner bark of Cinnamon, a long-lived tree that grows up to 10 meters in height, is native to Sri Lanka but is now widely grown in South East Asia. The history of Cinnamon is at least as spicy as its subject. Cinnamon was one of the most important of the prized spices that changed the path of Europe from the time of Marco Polo right up until the Colonial powers set forth to control the trade routes. 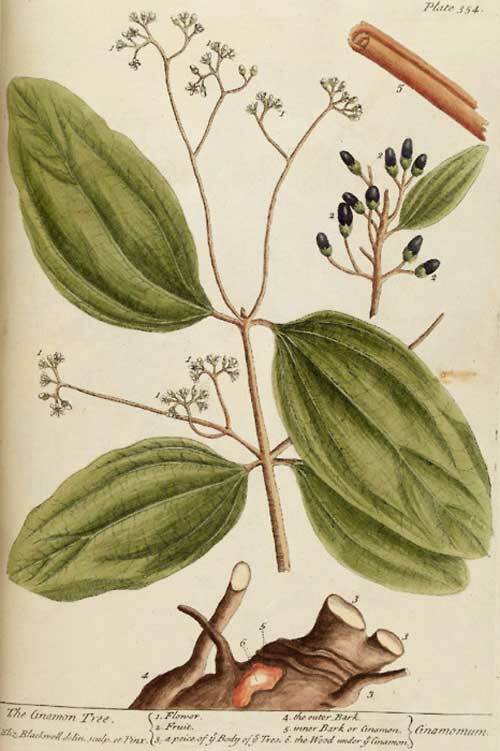 As a medicine, Cinnamon has been much used to help with ‘cold and debilitated’ conditions. People that habitually get tired and run down in the cold season would find that regularly taking Cinnamon stopped them getting sick and helped them to feel warmer. 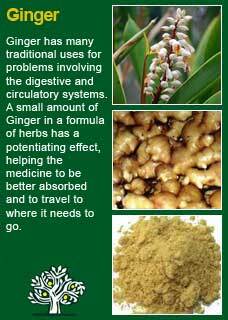 Cinnamon has a strong history of use in rapidly helping with excess bleeding, especially from the womb. Likewise, Cinnamon has traditionally been used for, diarrhoea, colic, excess flatulence, nausea or a slowed and weakened digestion. 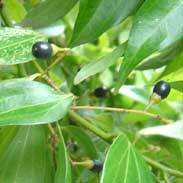 'Cinnamon imparts a flavor to unpleasant medicines and may be used to preserve them from rapid changes.Medicines dispensed in but few drops in a half glass of water will not keep sweet long at any time and will quickly sour in summer time. A few drops of Cinnamon added to such mixtures give an agreeable sweetness and aroma and will help the medicine to preserve its balance for several days. 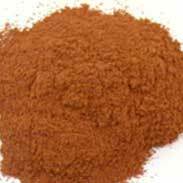 Cinnamon is an aromatic stimulant, carminative and astringent that possesses marked internal hemostatic power and that this is not wholly due to the tannin contained in the bark is shown by the prompt action of the tincture of the oil. 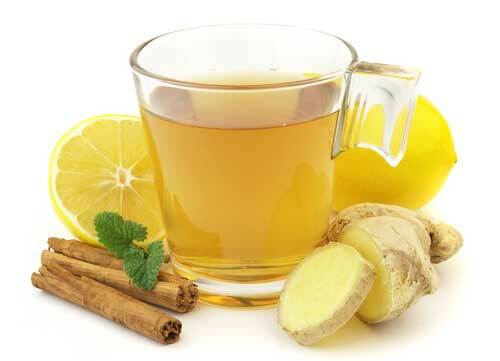 Cinnamon has been proved in Eclectic practice to be a very important remedy in hemorrhages. The type of hemorrhage most benefited is the post-partum variety, though here it has its limitations. If the uterus is empty and the hemorrhage is due to flaccidity of that organ due to lack of contraction, then it becomes an important agent. Then it strongly aids the action of ergot and should be alternated with it. If retained products are the provoking cause of the bleeding, little can be expected of this or any other agent until the material has been expelled. In menorrhagia, even when due to fibroids and polyps, it has had the effect of intermittently checking the waste: but only a surgical operation is the rational course in such cases. 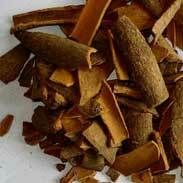 Other hemorrhages of a passive type are benefited by cinnamon. Thus we have found it a very important agent in hemoptysis of severity (coughing up of blood). In such cases we have added it to specific medicine ergot and furnished it to the patient to keep on hand as an emergency remedy. By having the medicine promptly at hand the patient becomes less agitated or frightened, and this contributes largely to the success of the treatment. Rest and absolute mental composure on the part of the patient and the administration of cinnamon have been promptly effective. If not equal to the emergency, then a small hypodermatic injection of morphine and atropine sulphates will usually check the bleeding. 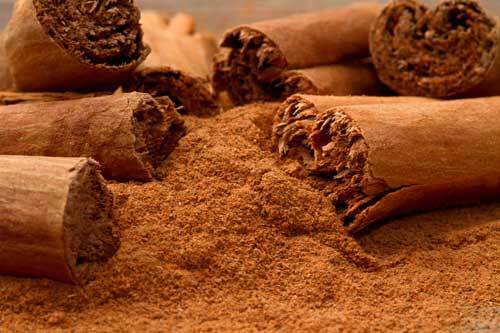 The British Herbal Pharmacopoeia (BHP) describes Cinnamon's actions as spasmolytic, carminative, orexigenic (appetite stimulant), antidiarrhoeal, antimicrobial, anthelmintic and says it is indicated for flatulent dyspepsia, anorexia, intestinal colic, infantile diarrhoea, common cold & influenza. 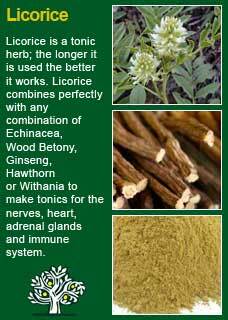 The BHP recommends it combines well with Elder, Peppermint & Yarrow in the flu and with Marshmallow, Slippery Elm and Meadowsweet for gastritis & dyspepsia and suggests a dose of 0.5-1 gms of the extract in 70% ethanol. In a nutshell, I would say that for Cinnamon in food, beverages or as a usual herbal extract; no problem for any age, pregnancy, breastfeeding etc. However, Cinnamon as an essential oil or as a concentrate needs to be treated with a great deal of caution as there is a real and high possibility of allergic reactions of the skin or mucous membranes. This is most likely because of the cinnamic aldehyde which is known to be a potent contact sensitiser. This is just one way to use Cinnamon. All herbalists ascribe a great deal of value to this common kitchen spice and I find that adding just a very small amount of Cinnamon extract into a herbal formula can have a remarkable effect on the treatment's ‘temperament’. Cinnamon helps the medicine to travel deeper into the body and at the same time it can effectively counter-balance a remedy that might otherwise turn out to be too cooling and/or cleansing. As a herbal medicine in its own right Cinnamon is ideal for people with 'cool' constitutions and adding some Cinnamon to the classic Ginger decoction (recipe below) provides a deep and lasting antidote to winter chills and common colds. In terms of dosage; subtle is the way with Cinnamon. I think you should just be able to smell and taste it but not so much that it dominates everything else. If you put too much cinnamon in a herbal medicine it is the same as putting too much into baking or cooking, what should be a pleasant, warming spice can quickly become overpowering if we are not careful. As an example, I would only use about 2.5-5% of Cinnamon extract in a formula, i.e. about 5-10mls in a 200ml bottle. See the more detailed note on this subject at the bottom of this page from H Felter. 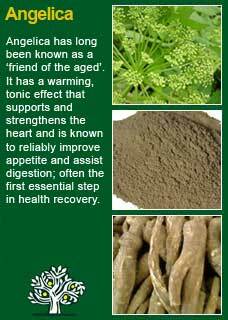 Cinnamon works particularly well with Angelica in convalescence or fatigue. It combines with Licorice root for low immunity and reduced resistance to stress and it combines with Ginger to improve circulation and vitality. The fresh Ginger along with Cinnamon makes this a medicine to use when you want to get a deep acting medicine into the blood and the bones. Take off the heat, squeeze in the 1/2 lemon and then strain through a sieve into a cup. Stir in the honey and drink whilst it is still hot. After a while you should notice a powerful feeling of warmth spreading through your body. People who find this decoction particularly beneficial can make larger amounts of the tea and put the extra in a thermos to drink later, especially on a cold damp days! 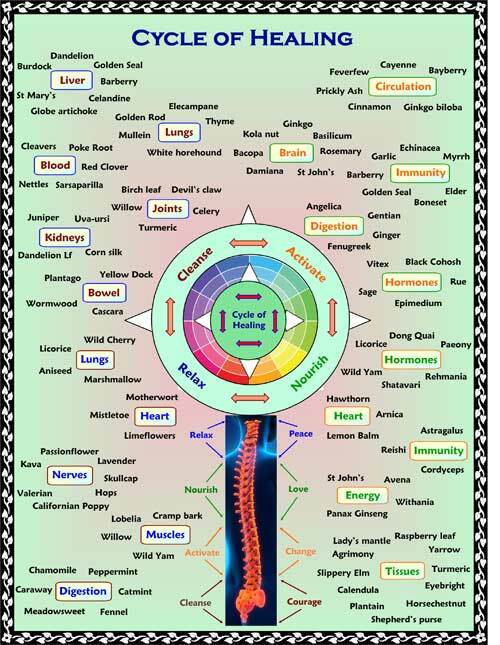 Much of the information here about the traditional uses of Cinnamon is consistent with the model of thinking whereby one may treat problem A with plant B. There is value in this approach, especially in how it helps us pass on useful knowledge to one another, but it falls short in one vital area; and that is that people are not all cut from the same cloth! Something that works brilliantly for one person may do less for another -- why is this?